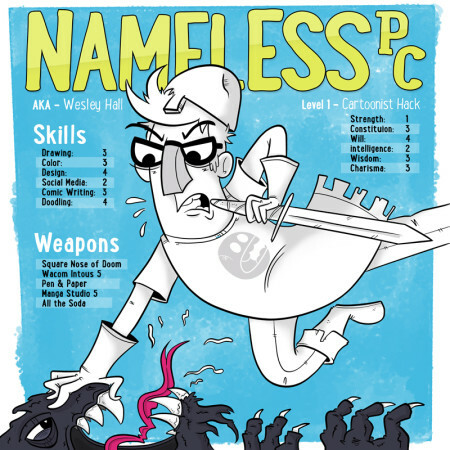 Wesley Hall joins Brian Dunaway, Joel Duggan and Matthew Ducharme to talk about his webcomic Nameless PCs. Nameless Player Characters (AKA Nameless PCs) started because of a tweet. Chris of WeXogo.com was offering a free set of dice to anyone who retweeted his tweet. I did such a thing got a set of dice and began to checkout his website. There I saw he was looking for some people to write and do illustration for his site, so I submitted some stuff to him, and he liked it. 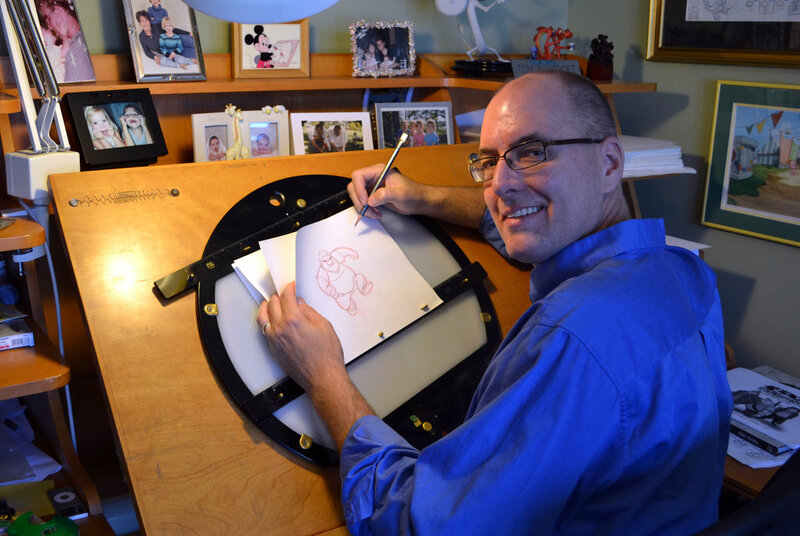 He said I should write about my campaign or do a webcomic, the webcomic sounded fun, but I knew I couldn’t do it alone. So I asked my brilliant and hilarious friend Matt Roberts if he would be interested in writing it. He was, and in late 2010 Nameless PCs was born! The comic continued on in this way (with a few hiccups) until late 2012 in which Matt Roberts left the comic due to time constraints. That’s where I (Wesley Hall) picked up the writing and drawing reigns. At first, I was set on continuing with the characters Matt and I had created together, but it just didn’t feel right, about that time I crashed our old site as well, and began putting up my comics on tumblr, and playing around with different art styles and characters and it kinda morphed into the journal comic that it is today. Exciting eh? Thank you Wesley for being on the show! I hate that I wasn’t here for this episode. But Joel & Matt did a fine job! Thanks again for having me! It was a great time.